To which major air law treaties is your state a party? Is your state a party to the New York Convention of 1958? Sweden acceded, and is a party, to the Rome Convention (1933) as of 1939, the Chicago Convention (1944) as of 1946, the Geneva Convention (1948) as of 1955 and the New York Convention (1958) as of 1972. Sweden has acceded to the Cape Town Convention (2001) (the Convention) and the corresponding protocol (the Protocol), effective as of 1 April 2016. What is the principal domestic legislation applicable to aviation finance and leasing? the Act on Damage Caused to Third Parties by Air Carriage (1922). Are there any restrictions on choice-of-law clauses in contracts to the transfer of interests in or creation of security over aircraft? If parties are not free to specify the applicable law, is the law of the place where the aircraft is located or where it is registered the relevant applicable law? There are no such restrictions under Swedish law. Instead, the parties are free to specify the applicable law. Pursuant to the Geneva Convention, and the Swedish implementation thereof in the Act pursuant to Sweden’s accession to the 1948 Convention concerning International Recognition of Rights to Aircraft 1955, Swedish law recognises a foreign law security right created by way of contract as security for debt, provided that the security right has been validly constituted in accordance with the law of the convention state where the aircraft was registered at the time of the right’s constitution, and provided that the right is duly recorded in a public record in that convention state. Thus, the law where the aircraft is registered would be the applicable law in relation to a security right in an aircraft registered in a convention jurisdiction, regardless of any choice of law clauses. Furthermore, Swedish law recognises an international security right duly created in accordance with the Cape Town Convention. As regards other non-convention jurisdictions, Swedish international private law would recognise the law where the aircraft is registered provided that such application is not viewed as manifestly incompatible with Swedish public policy. How is title in an aircraft transferred? The title in an aircraft is transferred by a valid and enforceable agreement (such as a bill of sale) between the parties. What are the formalities for creating an enforceable transfer document for an aircraft? There are no formalities required for enforceability of the transfer. However, if the aircraft is registered in Sweden, the Swedish Transport Agency should immediately be given notice of a change in ownership of the aircraft by filing, for example, the original bill of sale or a certified copy thereof. If the bill of sale is in a language other than Swedish, Norwegian, Danish or English, a certified translation to one of those languages must be provided. Identify and describe the aircraft registry. the Rights Register, in which a right in rem for an aircraft registered in Sweden can be recorded. The Operational Register contains information about the owner and the operator of the aircraft. Both registers are maintained by the Swedish Transport Agency. There is no separate engine register in Sweden, and a registration in the Operational Register or the Rights Register would include, inter alia, the airframe, engines, propellers, radio equipment, instruments and other fittings, irrespective of whether they are installed on the aircraft or temporarily separated from it. As at April 2018, Sweden has 83-bis arrangements in place with Estonia, Germany, Ireland, Italy, Latvia, Luxembourg and Spain. As Sweden has acceded to the Cape Town Convention and the Protocol, registration of security rights in aircraft (including separate registration of right in an engine) can be made in the International Register that follows from the Convention. There is nothing prohibiting registrations in both the Swedish Rights Register and the International Register. However, registrations in the International Register will have priority unless a right has been registered in the Swedish Rights Register prior to the Swedish entry into force of the Convention. Can an ownership or lease interest in, or lease agreement over, aircraft be registered with the aircraft registry? Are there limitations on who can be recorded as owner? Can an ownership interest be registered with any other registry? Can owners’, operators’ and lessees’ interests in aircraft engines be registered? a European economic interest grouping domiciled in Sweden. In addition, the Swedish Transport Agency may allow an aircraft owner domiciled outside the EEA to be registered in the Operational Register if the aircraft is normally operated in Sweden by one of the legal entities listed above. The Swedish Transport Agency generally grants such a registration when a foreign owner or lessor has leased the aircraft to a Swedish operator or lessee. The ownership may also be registered in the Rights Register. The ownership interest cannot be registered with any other Swedish registry besides these two. A lease can be registered in the Rights Register (eg, by submitting the lease agreement) and if not registered in the Rights Register the lease must immediately be registered in the Operational Register if the term of the lease is for an indefinite period or for at least one month. The lease may be registered in the Rights Register and noted in the Operational Register if the lessor or user so requests. In addition, it must be registered in the Operational Register if the lessee shall assume the strict third-party liability imposed on the owner or lessor pursuant to the Act on Damage Caused to Third Parties by Air Carriage (1922) (see questions 32 and 33). The operator under a lease is normally registered in the Operational Register. Furthermore, in accordance with EC Regulation No. 1008/2008 and Schedule 3 of EEC Regulation No. 3922/91 (EU-OPS), a dry lease agreement to which a Swedish (or other EU member) air carrier is a party, or a wet lease agreement under which the Swedish (or other EU member) air carrier is the lessee of the wet-leased aircraft, is subject to prior approval by the Swedish Transport Agency. The ownership of, or any lease interest in, engines or other spare parts cannot be registered separately in the Rights Register. However, engines or other spare parts may be separately encumbered by assignment under the Chattel Sales Act (1845), provided that they are not installed on the aircraft. Furthermore, as described in question 6, it is possible to separately register rights to an engine in the International Register. Summarise the process to register an ownership interest. (vi) an original application form for registration of an emergency locator transmitter (ELT406 MHz) (available on the Swedish Transport Agency’s website), regarding an aircraft exceeding 500 kg. The Swedish Transport Agency must immediately be given notice of a change in ownership of an aircraft registered in Sweden by submitting the documents listed under (i)-(iii) (the application form should be signed by both the new and previous owner and incorporation documents should be provided for both parties), as well as the original copy of the aircraft’s nationality and registration certificate. The fee for registration of an aircraft in the Operational Register is currently 7,500 Swedish kronor for a first-time registration and 3,000 Swedish kronor for a registration concerning change of ownership. In addition, there is an annual fee for being registered in the amount of 500 Swedish kronor (2018). The time period between the filing of the application and the registration or transfer of ownership will depend on the Swedish Transport Agency’s workload, but is generally not longer than two weeks. a document proving that the person acting on behalf of the previous owner is an authorised signatory of the previous owner. The registration is effected as of the date of filing if the registration is received by the Swedish Transport Agency before noon on a business day (provided that the application is granted). If received in the afternoon it will be effected on the following day. The registration is generally completed within two weeks. There is no cost for the actual registration of the ownership in the Rights Register, but the cost of obtaining a certificate of ownership is currently 8,000 Swedish kronor. What is the effect of registration of an ownership interest as to proof of title and third parties? Registration in the Operational Register does not have an effect on the rights to an aircraft. It merely determines whether an aircraft should be considered to be registered in Sweden or not. Thus, it is only a ‘notation’ registration. Once registered, the Swedish Transport Agency issues a certificate of registration (nationality and registration certificate) for the aircraft. Registration in the Rights Register provides proof of ownership and thereby creates priority and protection for the registered owner against third party claims. A registration of ownership in the Rights Register shall, as of the date of filing of the relevant documents with the Swedish Transport Agency, be deemed to be known by all persons whose rights to the aircraft are dependent on good faith in relation to the registration. Registration of the ownership in the Rights Register thus provides protection against bona fide purchasers of the aircraft as of the date on which the registration is made. However, as regards creditors of the previous owner of the aircraft, protection is not obtained until the next day and consequently the aircraft is used to cover the debts of the previous owner up to and including the day when the application for registration was made by the new owner. Summarise the process to register a lease interest. The lease can be noted in the Operational Register by a request in writing signed by both parties and providing details of the lessee (as operator of the aircraft), and information on whether the lessee shall assume strict third-party liability, pursuant to the Act on Damage Caused to Third Parties by Air Carriage (1922) (see questions 32 and 33). a document proving that the person acting on behalf of the lessee is an authorised signatory of the lessee. There is no cost for the actual registration of a lease in the rights register, but the cost of obtaining a certificate (ie, proof of right of lease) is currently 8,000 Swedish kronor. What is the regime for certification of registered aviation interests in your jurisdiction? The Swedish Transport Agency issues certificates of registration (nationality and registration certificate) for the aircraft upon a registration in the Operational Register. A certificate of registration contains information about nationality and registration mark, manufacturer and manufacturer’s designation of aircraft, aircraft serial number, owner and the owner’s address. For a fee, the Swedish Transport Agency can issue certificates regarding the rights to the aircraft (general ownership through acquisition, leases and mortgages) registered in the Rights Register. Is an owner or mortgagee required to consent to any deregistration or export of the aircraft? Must the aviation authority give notice? Can the operator block any proposed deregistration or export by an owner or mortgagee? An aircraft may be deregistered if the owner so requests in writing. An aircraft can only be deregistered or exported if there are no rights registered in the Rights Register or a notice in the Rights Register as regards retention of title (or a similar reservation concerning the right to assign, lease or mortgage), or if consent has been obtained from the relevant parties holding rights registered or noted in the Rights Register (eg, mortgagees). An operator cannot block a proposed deregistration or export by the registered owner. What are the principal characteristics of deregistration and export powers of attorney? Deregistration and export powers of attorneys are not common in Sweden. It should be noted that it has not been established by judicial precedent or otherwise by Swedish law that a power of attorney can be made irrevocable, and it is therefore possible to argue that any power of attorney can be revoked. However, in light of Sweden having given a declaration in relation to article XIII of the Protocol it should be possible to deregister an aircraft upon the written request of the holder of the power of attorney provided that the power of attorney has been registered with the Swedish Transport Agency. If the Cape Town Convention is in effect in the jurisdiction, describe any notable features of the irrevocable deregistration and export request authorisation (IDERA) process. Sweden has acceded to the Cape Town Convention, the provisions thereof being in effect as of 1 April 2016. As Sweden allows for irrevocable powers of attorney (see question 13), it is possible for a creditor who has been granted a power of attorney (ie, IDERA) from the registered owner of the aircraft to request for deregistration and export with the Swedish Transport Agency. The Agency shall grant such request without any trial of the case on its merits. What is the typical form of a security document over the aircraft and what must it contain? The security document usually consists of a promissory note governed by Swedish law, and the aircraft owner (registered in the Rights Register) is required to agree to the security granted in the aircraft by signing the security document or promissory note. The owner’s signature must be witnessed by at least two other persons. The promissory note must contain information about the nationality and registration mark of the aircraft and the principal amount (in Swedish or foreign currency) to which the security relates. The interest should be specified. However, it should be noted that the security will not secure interest accumulated for a period extending to three years. It is not a requirement to file the separate loan agreement if such an agreement coexists with the promissory note. What are the documentary formalities for creation of an enforceable security over an aircraft? What are the documentary costs? If the promissory note is in a language other than Swedish, Norwegian, Danish or English, a certified translation to one of those languages must be provided once filed in original with the Swedish Transport Agency for registration in the Rights Register. Must the security document be filed with the aviation authority or any other registry as a condition to its effective creation or perfection against the debtor and third parties? Summarise the process to register a mortgagee interest. In order to create a security right, the owner must first be registered as the owner in the Rights Register, which requires that the aircraft is registered in the Operational Register. In addition, the promissory note in original must be delivered to the mortgagee in order to be enforceable against the mortgagor and the security must be registered in the Rights Register in order to obtain perfection against other creditors and third parties. a certified copy of the owner’s birth certificate or, if the owner is a corporate entity, a certified copy of the certificate of registration not older than six months. Upon registration, the original promissory note will be returned together with relevant documentation, such as a certificate or abstract from the Rights Register. There is no cost for the actual registration in the Rights Register besides the stamp duty, but the cost of obtaining an additional certificate evidencing the registration of the security is currently 8,000 Swedish kronor. The registration will be effectuated as of the date of filing if the registration is received by the Swedish Transport Agency before noon on a business day (provided that the application is granted), and if received by the Swedish Transport Agency in the afternoon it will be effectuated on the following day. In addition, stamp duty of 1 per cent of the principal value secured by the security is levied and payable by the owner of the aircraft. However, pursuant to the Act regarding Sweden’s accession to the 1948 Convention concerning International Recognition of Rights to Aircraft (1955), such stamp duty would not apply to a security (which by nature would be recognised in Sweden) that is transferred to the Rights Register upon the request of the mortgagee when the aircraft is transferred to the Operational Register. However, the aircraft must be registered in Sweden for three months in order for the transferred security’s priority right to be recognised under Swedish law. How is registration of a security interest certified? The rank or priority is stated in the Rights Register, and can be evidenced by the certificate or an abstract from the Rights Register. The Swedish Transport Agency can, for a fee, issue additional certificates as regards security registered in the Rights Register. Provided that the security is registered, the certificate can be issued the day after the day on which the order is made. What is the effect of registration as to third parties? The registration of a security in the Rights Register perfects the security and thus creates priority and protection for the holder against third-party claims. If not registered, the mortgagee has no better right than unsecured creditors. The date of filing of the application for registration of the security with the Swedish Transport Agency determines the priority. If several applications are made during the same day, they rank equally. Third parties may rely on the Rights Register. How is security over aircraft and leases typically structured? What are the consequences of changes to the security or its beneficiaries? Swedish law does not recognise the concept of trusts. However, a security agent may act on behalf of itself and the financiers provided that it has been duly appointed by the financiers. Security held by the security agent must be properly separated from the security agent’s own assets. The security is a right in rem and not in personam that is perfected through registration. The promissory note to be registered in the Rights Register will set out the identity of the mortgagee. However, it is not a requirement (although it is possible) that the details of the mortgagee are noted in the Rights Register in order to obtain perfection. In addition, there is a risk of clawback of the security if registered by the owner in the Rights Register within three months of the owner being declared bankrupt. What form does security over spare engines typically take and how does it operate? Engines and spare parts may not be registered separately in the Rights Register, and engines that are installed on a host aircraft on more than a purely temporary basis will be included in the registered mortgages if owed by the owner of the aircraft. This may also apply to engines installed by a lessor, although the legal situation in Sweden regarding this issue is not entirely clear. A security may also cover spare parts (including engines) belonging to the owner of the aircraft. The spare parts must then be described in terms of the characteristics as well as the approximate number thereof in the security document or in an appendix thereto, and the spare parts must be stored at locations in Sweden or another state that has acceded to the Geneva Convention. In addition, a certificate from a reliable person stating that the spare parts belong to the owner of the aircraft must be submitted to the Swedish Transport Agency, and the spare parts must be clearly marked at the storage location as mortgaged and provide details of the scope of the mortgage, contact details of the mortgagee, and that the mortgage has been registered in the Rights Register. Notwithstanding that it is not possible to separately register engines in the Rights Register, such registration is possible in the International Register currently kept by Aviareto Ltd, as described in question 6. Outline the basic repossession procedures following lease termination. How may the lessee lawfully impede the owner’s rights to exercise default remedies? The owner would be required to pursue its claim through judicial procedures in order to repossess the aircraft, as self-help is not permitted under Swedish law. The judicial procedures available to the owner would be court proceedings or summary proceedings with the Swedish Enforcement Authority including enforcement assistance with repossession. The latter would generally entail submitting an application form, the lease agreement and any notices of termination and payment of a nominal application fee. Once the Swedish Enforcement Authority grants the application, the lessor will be informed of the date of repossession. The owner would be precluded from repossessing or foreclosing the aircraft in an insolvency situation and the repossession would then have to be granted by the receiver in bankruptcy. There are no sole legal steps to ensure successful repossession. In relation to lease agreements falling within the scope of the Convention and the Protocol it should be noted that Sweden has, in relation to article 54.2 of the Convention, declared that remedies available to a creditor (under, for example, articles 8-10 of the Convention) may be taken without having to obtain approval from a court. Sweden’s declaration to said article entails that all remedies available to the creditor under the Convention may be carried out without application to a court, unless otherwise specified under the relevant provision of the Convention. Outline the basic measures to enforce a security interest. How may the owner lawfully impede the mortgagee’s right to enforce? Judicial procedures must be undertaken in order to enforce a security interest in the aircraft, as self-help is not permitted under Swedish law. If the mortgagee takes possession of the aircraft without the owner’s consent, the mortgagee is likely to commit a criminal offence under Swedish law and may also be liable for damages. The judicial procedures available would be court proceedings or summary proceedings with the Swedish Enforcement Authority. 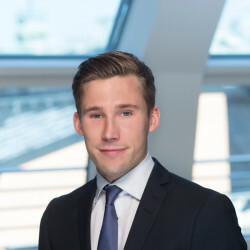 Summary proceedings entail submitting a written application to the Swedish Enforcement Authority stating the amount claimed and containing a request that the claim is to be satisfied by execution of the mortgaged aircraft. The mortgagor will be requested to respond to the claim in writing and if the mortgagor fails to do so the Swedish Enforcement Authority will issue an order that payment should be paid out of the mortgaged aircraft. However, if the mortgagor challenges the application and raises any defence to the claim, the application will, upon the mortgagee’s request, be forwarded for ordinary court proceedings. 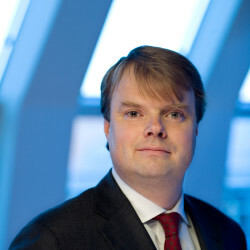 Ordinary court proceedings would entail that the mortgagee files a summons application (if the matter is not upon the mortgagee’s request forwarded from the Swedish Enforcement Authority). The court then issues a writ of summons, which is followed by service of the writ of summons, written submissions, one or more preparatory hearings and a main hearing. Should the mortgagor (or its representatives) not appear, the court may render judgment in default. the mortgagee can provide security for damage that might be caused to the mortgagor (this may be disregarded in certain circumstances). The mortgagor has a right to submit a response to the application, but an ex parte application is possible if the detention is urgent. However, pursuant to the Aircraft Exemption from Provisional Attachment Act (1939), special provisions may apply to, inter alia, aircraft assigned for government service and aircraft for transportation when ready for departure. Which liens and rights will have priority over aircraft ownership or an aircraft security interest? If an aircraft can be taken, seized or detained, is any form of compensation available to an owner or mortgagee? What taxes may apply to aviation-related lease payments, loan repayments and transfers of aircraft? How may tax liability be lawfully minimised? Assuming the lessor or lessee has no physical or permanent presence in Sweden, the lessor or lessee will not need to register for tax purposes in Sweden. Aircraft (intended for transportation of fare-paying passengers) are generally exempt from Swedish VAT. However, the exemption may not apply in relation to certain lease structures in respect of the head lease where the sublessor is a Swedish entity. Such Swedish entity may be imposed and required to report VAT in relation to the head lease. Nevertheless, deduction possibilities will render in no increased VAT expenses. See question 17 regarding stamp duty for mortgages. Are there any restrictions on international payments and exchange controls in effect in your jurisdiction? No. However, if direct and indirect payments (to or from Sweden) exceed 150,000 Swedish kronor, or if the aggregated payments amount to 150,000 Swedish kronor, the intermediary arranging the payments must report certain information by submitting a statement of income for the previous income year to the Swedish Tax Agency no later than by 31 January the subsequent year. 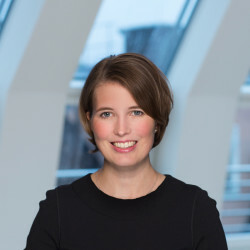 In addition, certain restrictions may apply should extraordinary circumstances prevail (such as war or exceptional short-term capital movements) in Sweden. Are there any limitations on the amount of default interest that can be charged on lease or loan payments? No. However, the Swedish Contracts Act (1915) contains a general clause stating that any term in an agreement found unconscionable as regards the contents of the agreement, the circumstances prevailing at the time the agreement was entered into, subsequent circumstances and circumstances in general, may be set aside or modified, although the demands for a term or agreement to be found unconscionable are rather stringent. Are there any costs to bring the aircraft into the jurisdiction or take it out of the jurisdiction? Does the liability attach to the owner or mortgagee? No, not in relation to commercial aircraft to be solely imported to, or exported from, Sweden. Summarise any captive insurance regime in your jurisdiction as applicable to aviation. There is no prevailing practice to place the insurance in the Swedish market. There are certain activities for which there are requirements under Swedish law that insurance must have a local connection. None of these activities are, however, likely to apply. Are cut-through clauses under the insurance and reinsurance documentation legally effective? A cut-through clause accessing reinsurance would, in general, be considered valid under Swedish law. However, the insurance company providing the reinsurance cover may be deemed to conduct insurance business in Sweden by way of usage of cut-through clauses and thereby trigger a licensing requirement for insurance business under Swedish law. Are assignments of reinsurance (by domestic or captive insurers) legally effective? Are assignments of reinsurance typically provided on aviation leasing and finance transactions? The Swedish Insurance Contracts Act (2005) does not apply to reinsurance contracts. The reinsurance market for aviation in Sweden is rather limited, and Swedish law provides little guidance; therefore, foreign customary law is used for reference. However, the assignment of reinsurance is likely to be legally effective under Swedish law if permitted under the reinsurance contract. In the absence of such a provision in the contract, the general principle under Swedish law would be that rights or obligations under the reinsurance contract can only be assigned if the other party has consented thereto. Can an owner, lessor or financier be liable for the operation of the aircraft or the activities of the operator? According to the Act on Damage Caused to Third Parties by Air Carriage (1922), a lessor (as owner) of an aircraft will be strictly liable for all damage caused to third parties in operating the aircraft. the lessee’s right to use the aircraft is registered with the Swedish Transport Agency in the Operational Register. It is unlikely that a financier or mortgagee could be held liable for any actions or omissions of the counterparty. Does the jurisdiction adopt a regime of strict liability for owners, lessors, financiers or others with no operational interest in the aircraft? Are there minimum requirements for the amount of third-party liability cover that must be in place? EC Regulation No. 285/2010 of 6 April 2010 amending EC Regulation No. 785/2004 of the European Parliament and of the Council on insurance requirements for air carriers and aircraft operators provides for minimum insurance requirements in respect of liability for passengers, baggage, cargo and third parties and is applicable in Sweden. It specifies minimum insurance requirements in respect of third-party liability coverage ranging from 0.75 to 700 million special drawing rights, depending on the specific aircraft’s maximum take-off weight. The Cape Town Convention and the Protocol have entered into force following Sweden’s accession thereto. One of the most prominent arguments for Sweden’s accession was to achieve the predictability for financiers of aircraft that the Convention and the Protocol create, which is hoped to result in, inter alia, more airline carriers conducting operations out of Sweden with aircraft registered in Sweden. In relation to the practical application of the Convention and the Protocol by Swedish authorities (including the Swedish Transport Agency), certain practice is beginning to develop, although many practical questions still need to be addressed by the Swedish Transport Agency.